The hospital can be a scary place for many of us, especially if you’re just a wee one, but this hospital is working hard to comfort kids in their care. The Doctors Medical Center in Modesto, California, have found an ingenious way of reassuring their youngest patients. 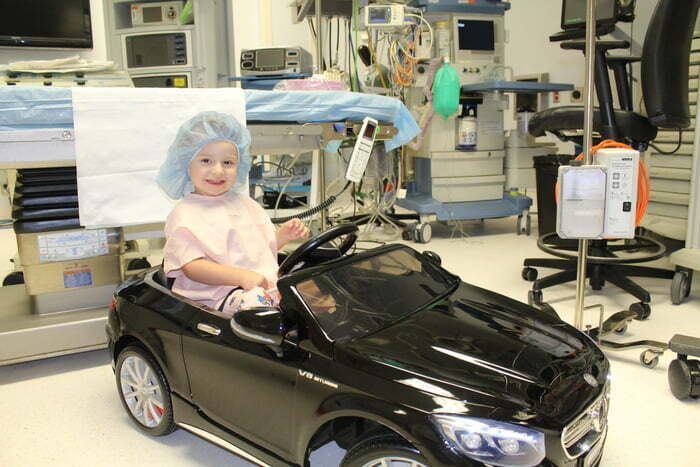 The children who are in need of surgery are offered a choice of mini motorcars which they can drive to the room where they will be undergoing an operation. This helps relax the kids at a potentially scary time. After all, who could forget the joys these things brought?! The hospital offers a far snazzier selection of vehicle! 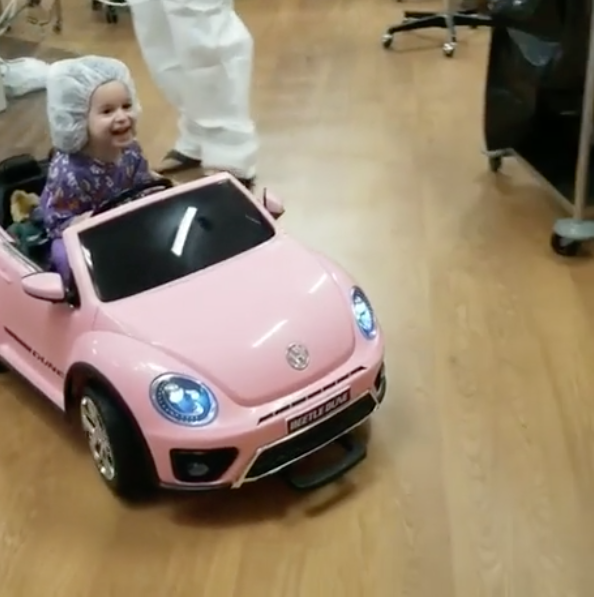 The young patients have a choice between a small, pink Volkswagen Beetle or a black Mercedes. I know I’d choose the Beetle to match my hair! This little Miss is having a wild time! What a perfect way to comfort these kids during a scary or uncertain time in their lives. We have so much respect for doctors, caring for the most vulnerable amongst us with kindness and consideration. This small gesture clearly has made a world of difference to these kids and distracted them from a scary time. WHO IS CUTTING ONIONS DAMMIT. 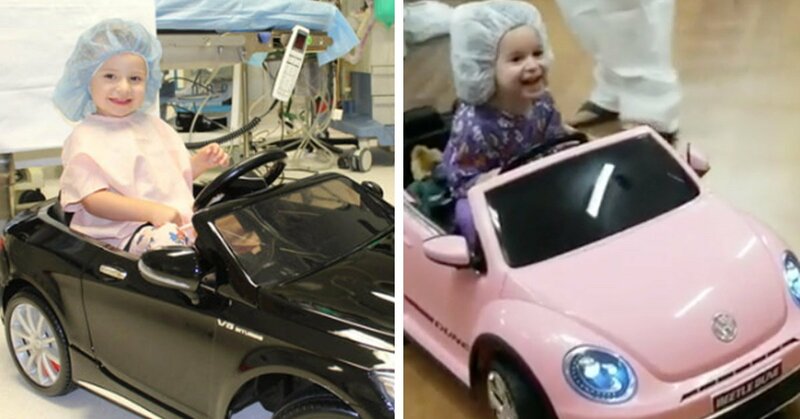 The super cool black Mercedes has been a feature of the hospital for a year now. It was so popular amongst the children that the pink Beetle was recently donated to add to the collection. This sweetheart looks pleased with her sweet ride! We love that beaming smile!